Jean-Baptiste-Siméon Chardin (November 2, 1699 – December 6, 1779) was a French painter. He is considered a master of still life. He lived on the Left Bank near Saint-Sulpice until 1757, when Louis XV granted him a studio and living quarters in the Louvre. Some of his earlier work has pretty minimal, almost boring composition. For example, in his painting Glass of Water and A Coffee Pot, the title pretty much sums up the whole composition. However, I find this painting beautiful because of the luminosity of the glass of water. It’s fascinating how such a small detail can bring so much life into the painting. 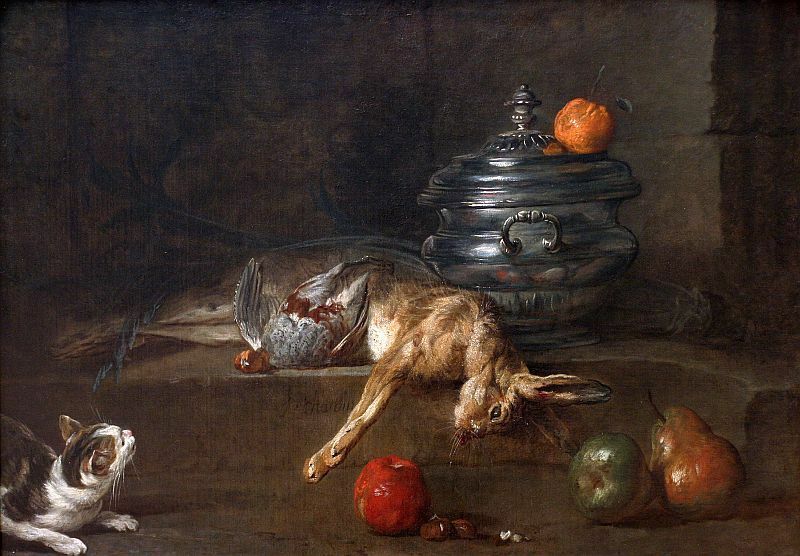 Chardin has also done some work that has a more original and creative composition. A lot of his work involves animals(dead or alive) which is another one of the reasons I chose to write a blog post about him. 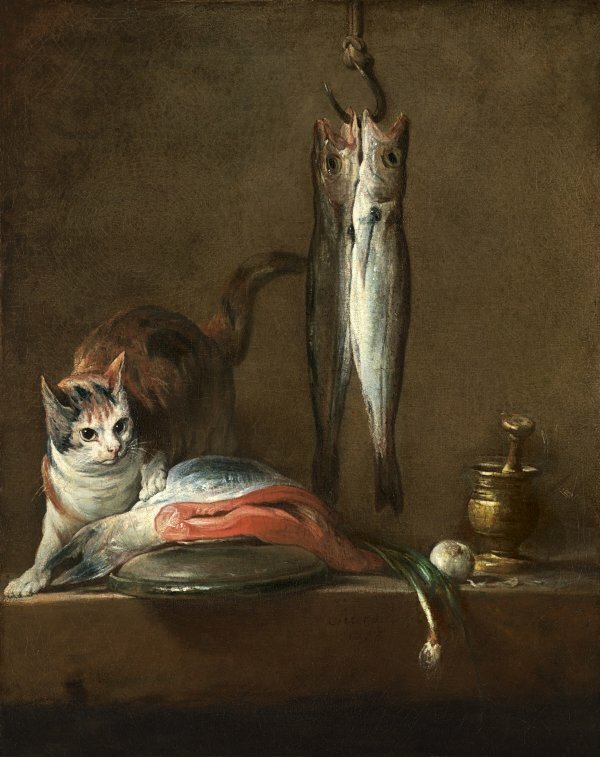 For example, in Still Life With Cat And Fish the way he painted the cat tells you the whole story of the painting. Its pose shows its desire for the fish, as well as the fear that it might get caught stealing someone else’s food. 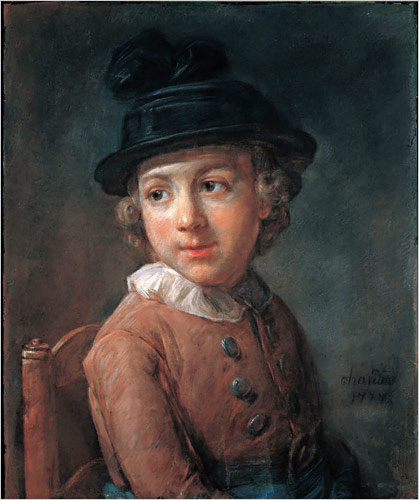 In his older years, Chardin did a lot of pastel portraits which are just as amazing as his early oil paintings. Excellent work on all four of your posts to date.I especially appreciate your research mixed with your personal insights and feelings for these artists. Very much enjoy reading your words. Keep it up.